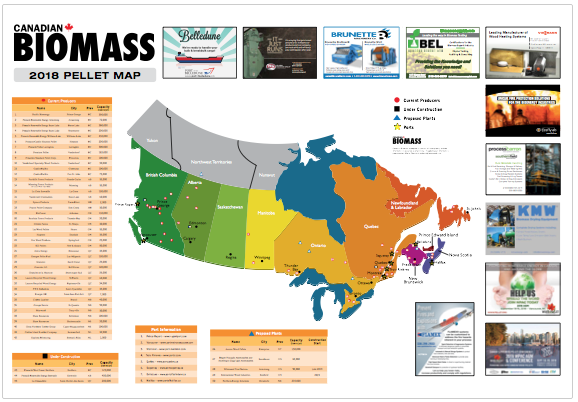 The 2018 Canadian Biomass Pellet Mill Map is now available. You will also find information on pellet handling port facilities. The 2018 map is mailed to all our magazine subscribers with the March/April issue, is available at biomass events throughout the year, and can be dowloaded here as a PDF.